Making bad calls at the poker tables is one of the easiest ways to screw up a good win-rate. But there is a big difference between a call made for the right reasons and one that is made simply due to emotion and poor logic. We definitely want to make plenty of the former (good calls) and avoid making the latter. In this article I am going to explain exactly what the difference is between a good call and a bad call. I am also going to give you strategies to stop making bad calls. What is a Good Call? All of these reasons for making a call are based on solid logic and entail a plan for the hand. There is no emotion involved. A good call also presupposes that you have weighed your other two options (raising or folding) and have decided that there is a higher EV (expected value) in calling. Let's look at a few examples of each of these. We could make the call in this spot if we think that we have the best hand. There are plenty of missed straight draws (T9 and KT), missed flush draws (any two clubs) and even a few worse Jacks that might be trying to value bet (KJ, JT). We do not expect to be right all of the time though. It is important to remember that in poker we play against ranges, not individual hands. So while our opponent's range might include several missed draws and some worse Jacks, sometimes we will also be shown a Queen, a set or something else that beats us. Our decision in this spot really depends heavily on the player type. Some players are going to have more value hands here. Some will have more bluffs. Another reason to make a "good call" is because you have the right odds (i.e., the poker math makes sense). So in the example above for instance villain has bet $5 into a pot of $10. Our pot odds here (Bet + Pot Size / Bet) are 3 to 1. What does this mean to us though? It means that we should be 3 to 1 against at most to win the pot. Or more specifically, we need to be right here at least 25% of the time. As long as we think that we have the best hand here 1 out of every 4 times or better, we can profitably call. If we were in a situation say on the turn with a draw then a similar logic would apply. If the odds of making our hand are equal to or better than our pot odds, then we can profitably continue. We have a flush draw on the turn. A flush draw is roughly 4 to 1 against to hit on the river. If we are getting 4 to 1 or better pot odds, then we can call and make an immediate profit. Furthermore, if we have implied odds on the river as well, then sometimes we don't even need to have the right pot odds in order to make a profitable call. I don't want to turn this into a lengthy treatise on poker math though. I have talked about poker math in detail before on several occasions. You can find a recent article here. This last reason for a good call is a little bit more complicated and it is not something that I suggest doing very often if you are new to the game or playing at the micros. We could call in this spot with the intention of taking away the pot on a later street. We don't have much equity (gutshot and a backdoor flush draw) and so this is much more about playing the player rather than the cards. If we are up against someone who CBets the flop frequently for instance but then gives up a lot on the turn, then this could be a profitable spot to float and then bet the turn when checked to. For specific examples of the types of regs to do this against and the associated HUD stats, you can check out my article on beating the regs. What is a Bad Call? Ok, so now that we have outlined some of the main reasons for making a good call let's talk about some of the reasons (or lackthereof) behind bad calls. Bad calls, as opposed to good calls, are made based off of emotion and/or a lack of logic. And sometimes there is simply no reason at all. Furthermore, when somebody makes a bad call, often they have not even considered their other options in the hand. It is often the case in poker that raising or folding will show a higher long term EV. Let's talk about these "reasons" for making a bad call one by one. Tilt is the 800 pound elephant in the room that affects every poker player on earth to varying degrees. Poker is an emotional game with endless ups and downs. Most people are not very good at dealing with downswings in particular and it can affect their decisions at the table in a negative way. Here is an example of a bad call based off of tilt. When a nitty regular at the micros triple barrels us here (raised preflop, bet the flop, turn and river) we are going to get shown a higher overpair (higher boat technically on this board) a very high percentage of the time. The correct play here is to fold. But this is a spot where some people may have a problem laying their hand down especially if they have been losing a lot and they are on tilt. They will make a so called "crying call" here when deep down they know that there is very little chance that their hand is good. Newer or inexperienced poker players in particular may often make a call without any real reason at all. We have all seen this countless times when playing against recreational players for instance. The river comes with an ace, we check it down and they turn over the rivered ace. We are dumbfounded as to why they are even in the hand. But this is just what bad or inexperienced poker players often do, call for no reason. The last reason for making a bad call I will loosely just call "faulty logic." This can mean stuff like not understanding how to calculate pot odds and hand odds correctly as I discussed above. Now that we know the differences between good calls and bad calls let's talk about how to stop making the bad ones. Good calls which are made for the right reasons can have a beneficial impact on our win-rate in the long run. But as I mentioned at the top, bad calls can have a very negative affect on our win-rate especially if you make them frequently. 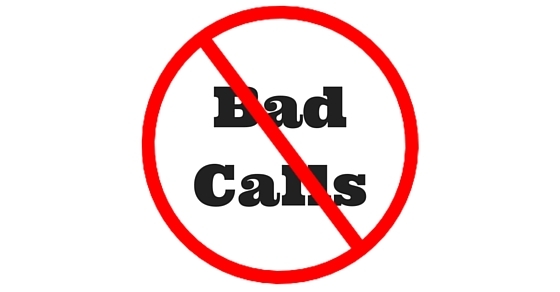 Most importantly, the #1 way to stop making bad calls is to always demand a reason out of yourself for why you are making a call. Do not allow yourself to just blindly hit the call button or throw the chips in the middle...just because. Poker is game where we get ahead by making better decisions than our opponents. If you are routinely not even thinking about why you make the decisions that you do, then you may as well just give away your money or go play Bingo. Secondly, before making a call always make sure that you have considered raising or folding as well. You should have clearly determined that both of these options are inferior to calling. So many people just randomly click buttons in this game without even thinking. It is often the case that raising or folding actually are the better options in poker. Show me somebody who likes to call a lot and I will show you a losing poker player. Make sure that you have carefully considered raising (either as a bluff or for value) or simply just folding, before you hit that call button. Lastly, the biggest reason why people make bad calls is because they are on tilt. They are frustrated by a recent run of bad beats/coolers and therefore their logical decision making skills are diminished. Countless studies have concluded that emotions (and frustration/anger in particular) negatively affect our reasoning abilities. For instance, in a recent Harvard study Litvak et al. found that angry decision makers frequently exhibit signs of increased "aggression and unrealistic optimism." In poker terms this means that when you make that tilt induced bad call on the river it is often because you subconsciously want to get back at your opponent by showing them that you won't back down. The problem is that there is no room for ego in poker. When you are beat, you need to fold. When on tilt you may also find ways to convince yourself that they are bluffing more than they are in reality. Or you will simply make that crying call because you just want to see it (even though you know that you are beat deep down). Obviously both of these are very negative and unprofitable ways to approach the game. This is why when you know that you are on tilt the best decision is pretty much always to simply quit. In your poor state of mind your ability to even discern the difference between a good call and a bad call can be severely comprimised. Making bad calls while on tilt is one of the biggest destroyers of bankrolls and win-rates. The acclaimed poker mental game coach Tommy Angelo famously talked about the need to "Lop off your C-Game." What he meant by this is quitting when you dip into your C level game (or even worse D, E, F) because during these periods your ability to think straight and make high quality poker decisions is greatly reduced. The bottom line is that if you can learn to quit when tilt starts to take over, then you will almost over night say goodbye to a large number of your bad calls. 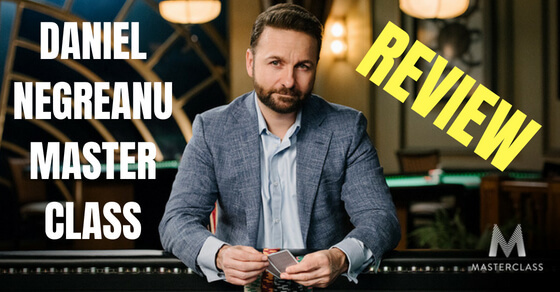 I hope that this article helped provide you with good outline of the differences between a good call and a bad call in poker. Good calls are based on logic and mathematics. Bad calls are based on emotion, faulty logic or even no thinking at all. The best way to stop making bad calls in poker is to simply get better at quitting when tilt starts to get the best of you. When in this state our ability to think clearly and even determine the difference between a good call and a bad call is severly diminished. Furthermore, in order to avoid making bad calls, always make sure that you can give yourself a solid reason for why you are making the call (you have the best hand, poker math etc.). Lastly, make sure that you have weighed your other options and you can confidently conclude that calling is indeed the best course of action. 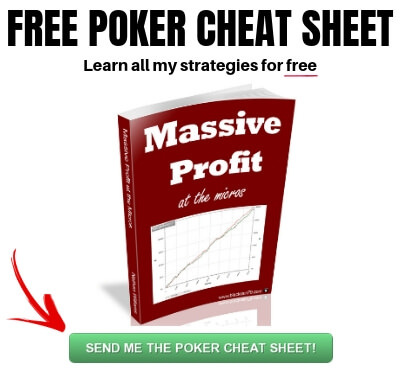 If you would like to know how I created some of the best winrates in the history of online poker at the lower limits (often by avoiding bad calls), then you can pick up my free ebook right here. Let me know in the comments below if you make bad calls in poker. What methods do you use to prevent them from happening? I mostly talk about 6max and full ring on this website, but I do have a half written HU article in the pipeline that hopefully I will get around to publishing one of these days. My laptop is crush, do you know a metod to take back database on pokermanager and player notes on pokerstars? Thanks for reading Adrian. Unless you have backed up your data I think you may have unfortunately lost that information. You can always request your hand histories again through PokerStars and re-import them. With player notes though, I think that is stored on your computer only in an xml file, so unless it was backed up, it is gone. Thank you Taras, glad it helped! hello blackrain i am a huge fun of you and i am register on your email list. 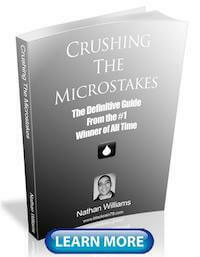 How can i get i free copy of massive profit e-book? 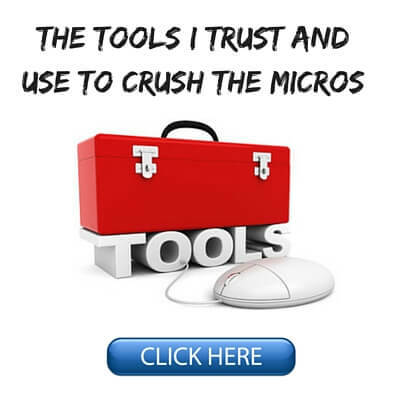 There is a welcome email that is sent out automatically when you sign up with the download link for "Massive Profit". However, if you haven't received that you can just send me an email at blackrain79@dragthebar.com and I will send you a copy. Agree with those crying call hurting your overall winrate, missed the count of how many times I've done it just for the sake of seen my opponent beat me. Personally the worst part of quitting early was the thought of just not being able to fulfill my volume goals I had set for the session, but then again it's better to have that smallish volume session that losing more than intended. Keep up the good work! Take care! Yup, I think this happens to everybody when they run bad. It's some weird obsession with wanting to see it, even though you know exactly what they are going to show you. With volume, I think the answer to this one is pretty easy. Just play more when you are running good. Seriously Nathan, you always write about problems we all face, actually making bad calls is what I am latelly doing this last week, direct consequence of bad variance. Thank you!! What I am doing in order to get things back in place is playing few sessions one level lower than my current one, even if I dont need to do that bankroll wise. It cools my head down a bit. I think dropping down to regain your confidence for awhile during a downswing is a fine strategy. I do this sometimes also. For brainstorming sake Nathan, don´t you think sometimes that, in down-to-earth terms of E.V., grinding a couple of tables in a lower level is actually far better than playing one table in the next level? I mean, there is a common dogma of "the higher, the better" as long as bankroll allow, and I am not really sure about that. You are a table selection advocate, idea which I share, but what about stakes selection? Isn´t stakes selection a wider and fool proof way of table selection? This is a massive subject in which I am sure you could argue for and against this point in many ways. I will say that at the micros a big reason why many people advocate moving up is because of the rake. The relative rake at the micros is much higher than at mid and high stakes. But I can also see your point as well. 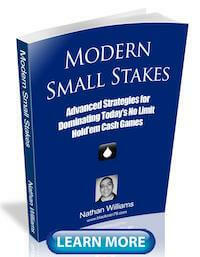 For me personally I have often preferred the lower variance and easier money at the lower stakes. Not everybody wants to play this game at the highest level. 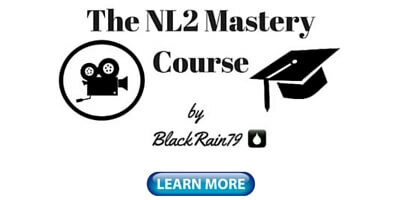 Hi Nathan, I'm a beginner in online poker. 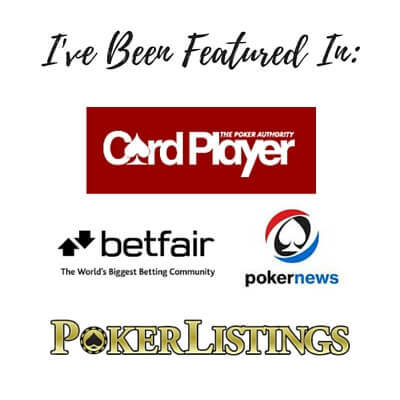 Can you suggest poker sites for me?. Hoping for your reply. Thanks. 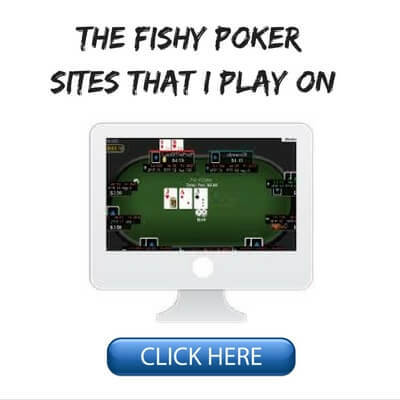 Recommending poker sites is not something that I currently do. However, in this article I discuss everything that I consider when looking for the right site to play at. Thanks Nathan, the article really helps. i play the micros and follow your advice religously and bankroll is going in right direction all be it slowly as i cant get used to multi tabling. first was 155 runners which i won 2nd was 393 where i came second all by following your teachings from your books and blogs. the roi in tournaments is something else that i more than doubled my bankroll. owe you a pint or two,keep em coming m8 luving it. Thanks George, glad my blog is helping! Good article. I read 3 or 4 of your strategy articles a week before a session. They're a good review and I always find a couple of nuggets I hadn't thought of or find a new way of looking at strategy. Having said that you should lay off of bingo. Many people including my Grandma claim you can win by knowing what cards to pick. I'm dubious but she did seem to win a lot. I also knew a woman who was in a wheel chair and had limited movement of her hands who could keep 30 cards in her head. I don't think she was a winning player but she did seem to win a lot. Hope she doesn't find Internet Poker. Hope you have a sense of humor.